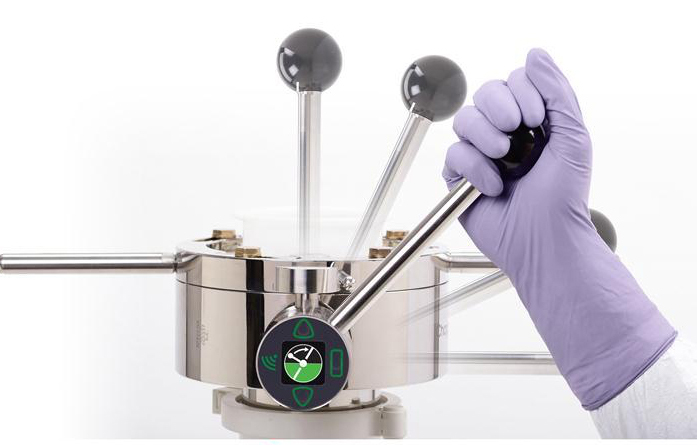 Powder containment and aseptic transfer valve specialist, ChargePoint Technology, has launched a smart monitoring hub to support efficiency and safety within chemical and pharmaceutical manufacturing processes. The new Verifi solution was dabuted at Achema. ChargePoint contained transfer devices are critical to ensuring integrity of product handling during high potency and sterile manufacturing, enabling manufacturers to meet their product quality, operator safety and productivity targets. Now, with Verifi, manufacturers have an automatic/reliable method of understanding the health status of the device allowing them to better control risk and ensure consistent integrity throughout the life-cycle of the system and its critical components. Verifi is connected directly onto the ChargePoint Active valve unit so continuously records data and delivers alerts to its users. Its LED display provides operators with visual feedback, giving the user confidence and safety and quality teams peace of mind. Service advice allows maintenance teams to take preventative action, resulting in less downtime and improved efficiency. Data can also be synchronised via WIFI to the secure Verifi portal, where data is stored in the cloud for production and process managers to analyse remotely and export for further reporting.